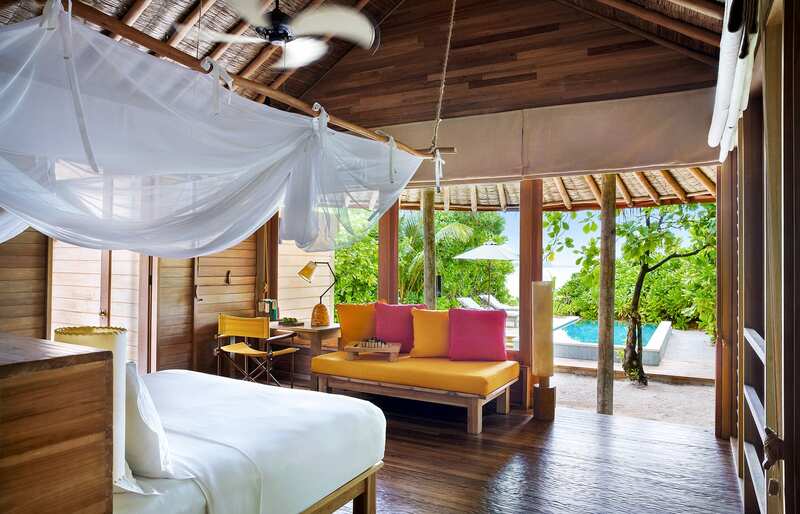 It’s not much of a secret for our regular readers that we are huge fans of the Six Senses Resorts, and their concept of rustic luxury. 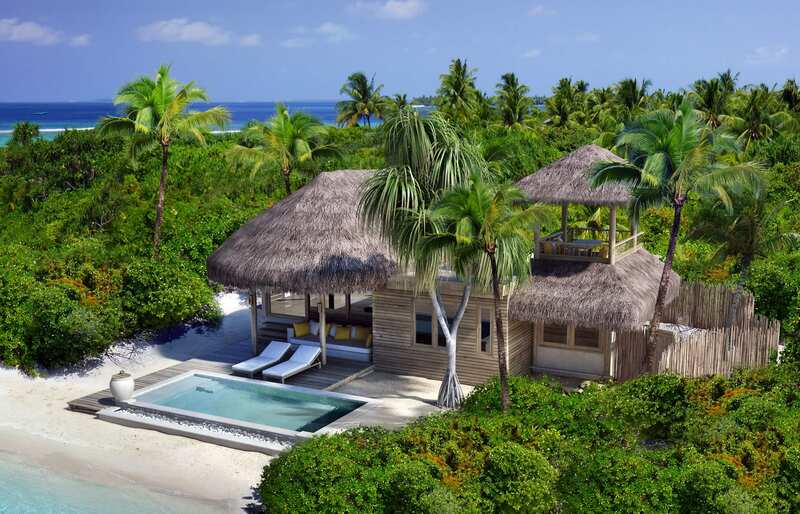 The chain’s Maldivian outpost is perhaps the best example yet of the philosophy that masterfully combines beautiful remote locations, eco-living and uncompromising luxury. 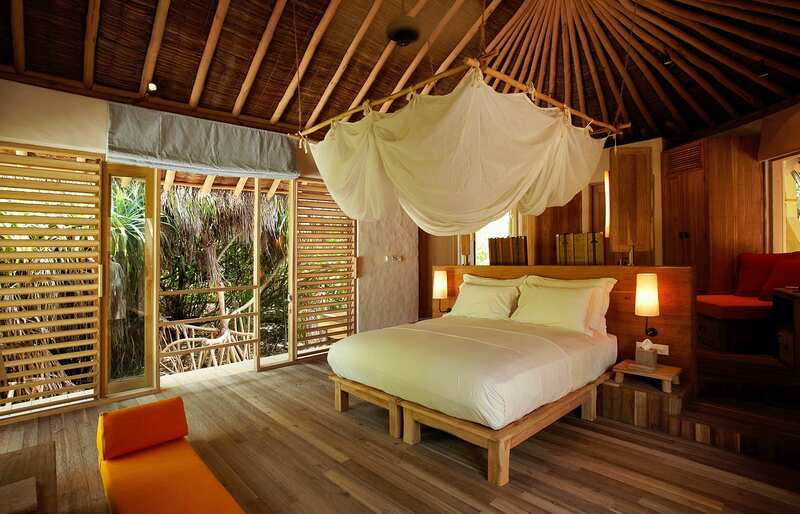 This all-villa resort is the only hotel in the Laamu Atoll, some 150 km from the equator. 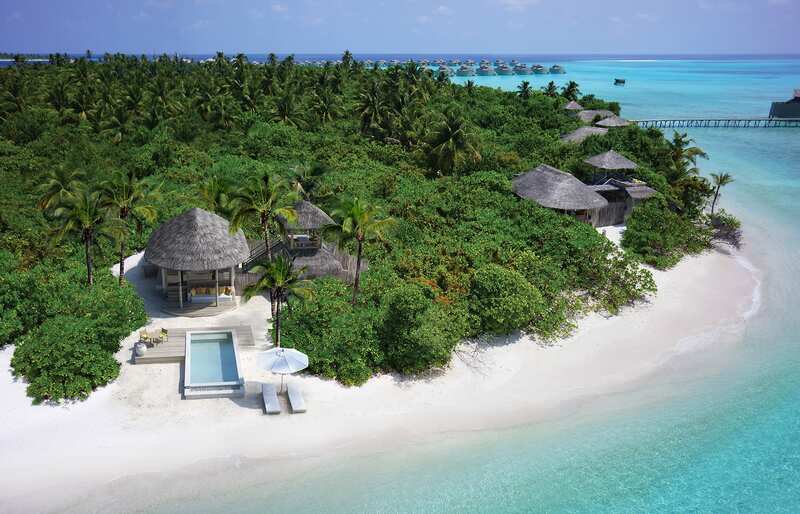 Getting there is a bit of a journey, but of course, this is part of the Six Senses allure—they deliberately pick remote locations. 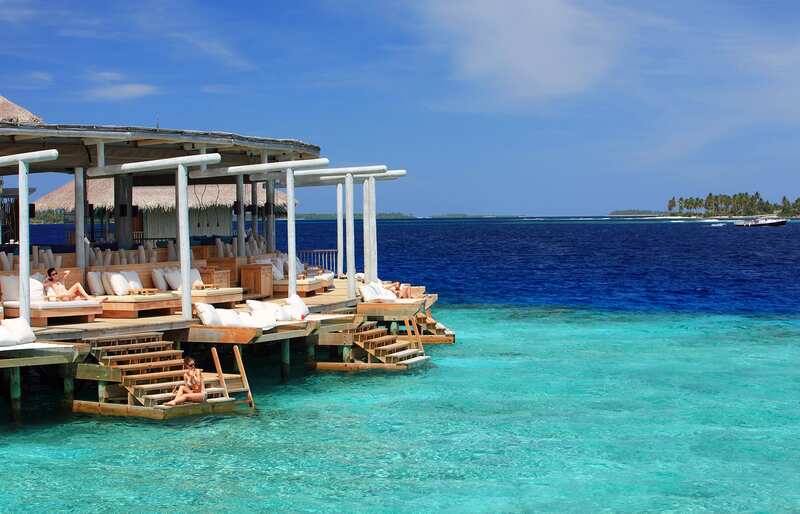 From above the clouds and later, riding the resort’s luxury boat, it felt like getting deeper and deeper into the blue infinity of the Maldivian sea. As we docked to the jetty this feeling transcribed into a sense of stepping into a different kind of reality. 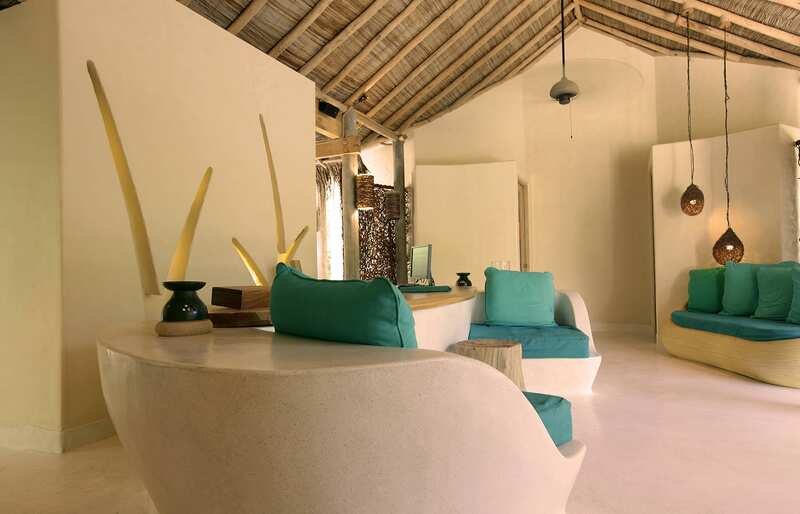 The simple aesthetics of the resort’s design play a huge role in these impressions. 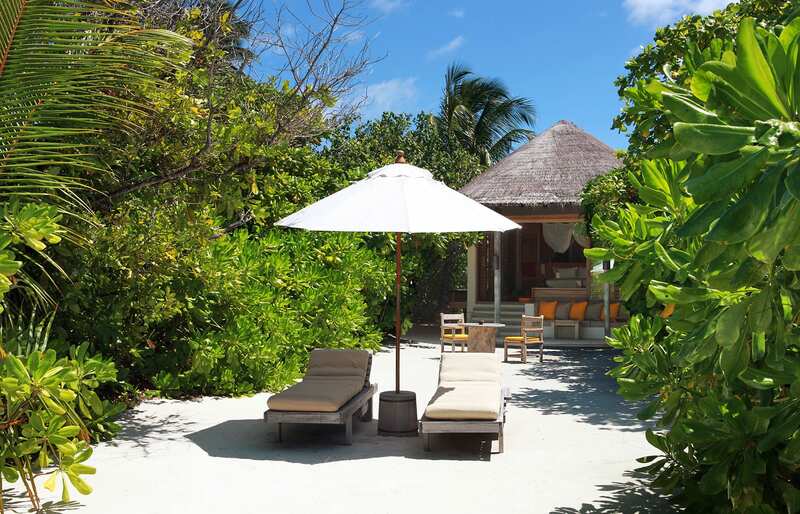 Similarly to other Six Senses properties we stayed at, Laamu excels in the trademark style that utilises rustic design in complementing a beautiful location—here the lush, green Maldivian island. 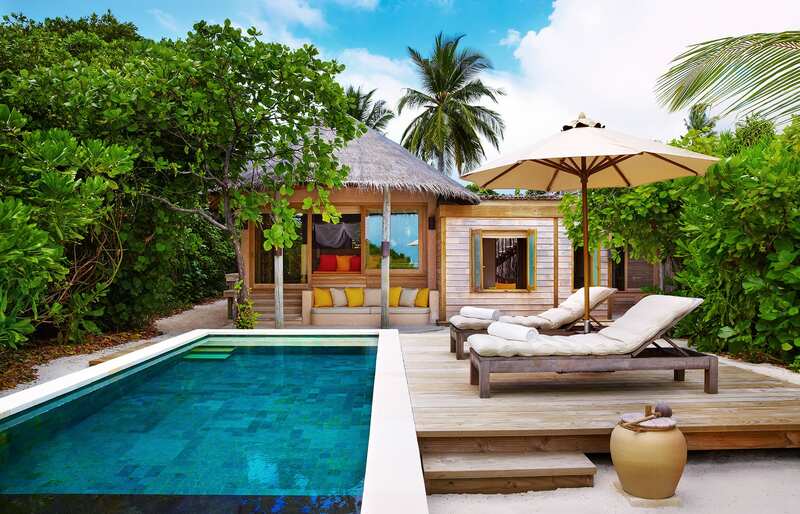 The guest villas follow this spirit of “barefoot luxury”, offering plenty of open space and cool features designed as a companion to a luxury island living. 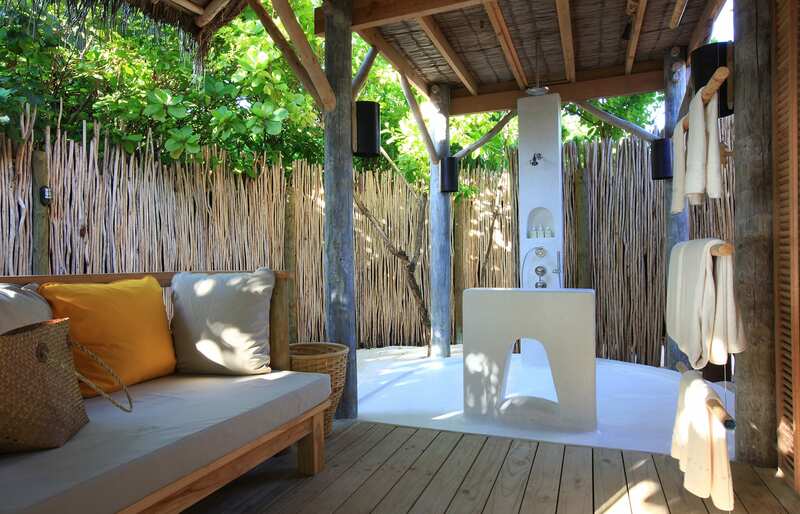 Beach Villas stand out thanks to their outdoor areas, with rain showers, private gardens and terrace deck for alfresco dining (or sleeping!). 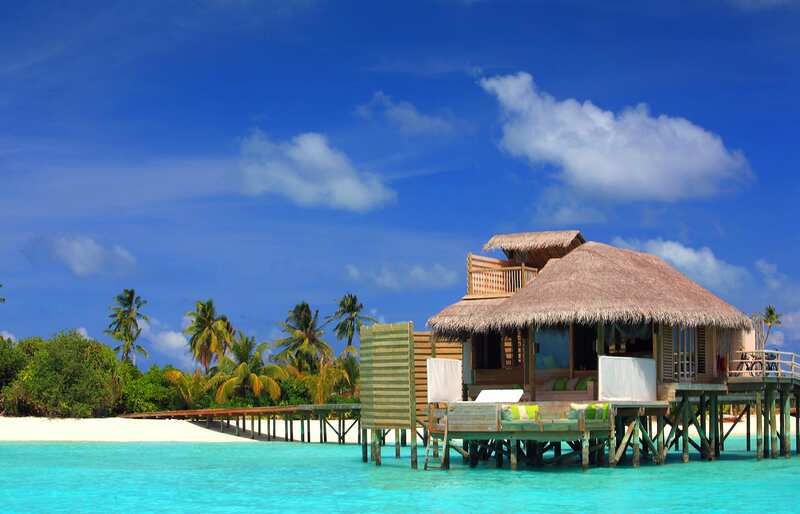 For us, however, the epitome of Maldivian dream were the villas-on-stilts, build along three wooden jetties. 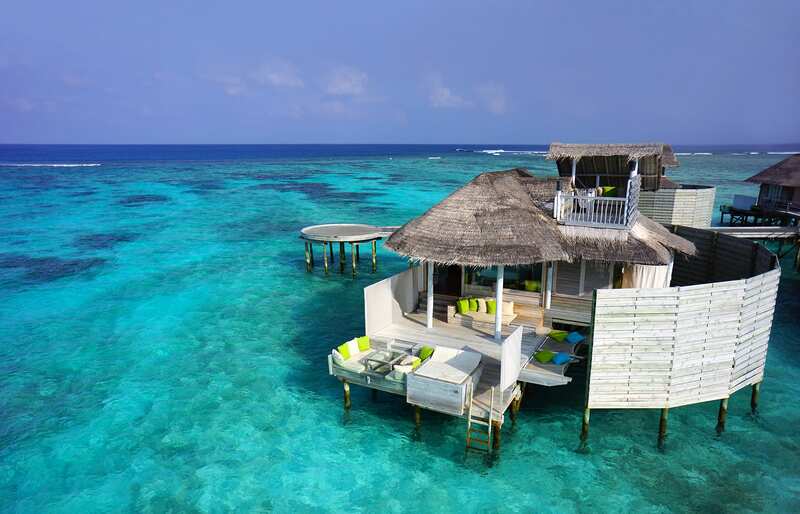 Our Ocean Water Villa was attached to the Jetty B. 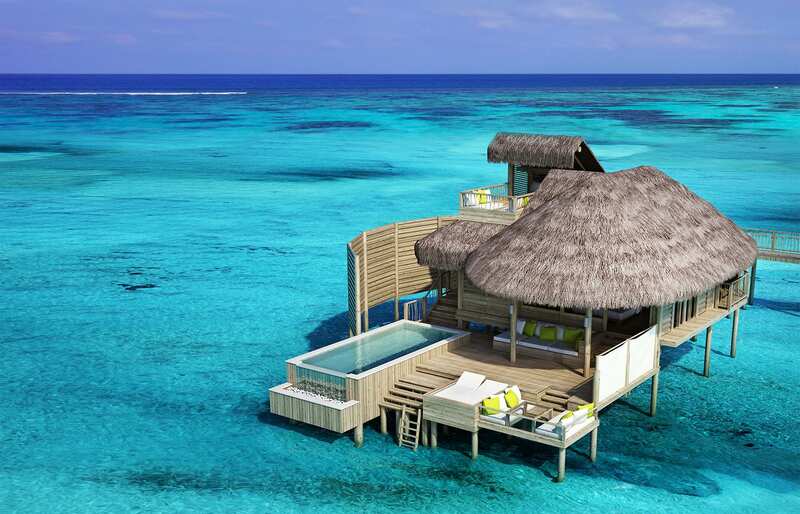 It had an outdoor platform with day beds, sun lounges, over-water netting and sunken dining area with a glass floor. Inside there was a big four-poster bed looking out to the ocean, and further a bathroom with see-through bathtub and rain shower… which we loved. 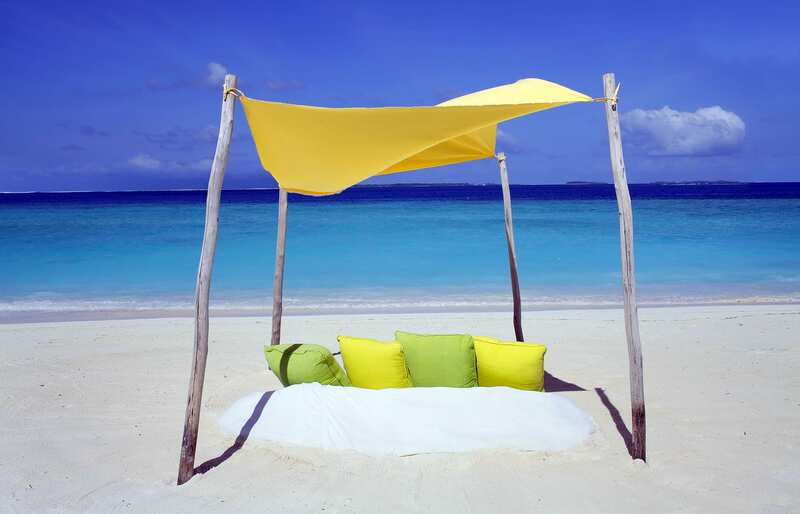 As always at Six Senses, we appreciated some of the simplest of things. 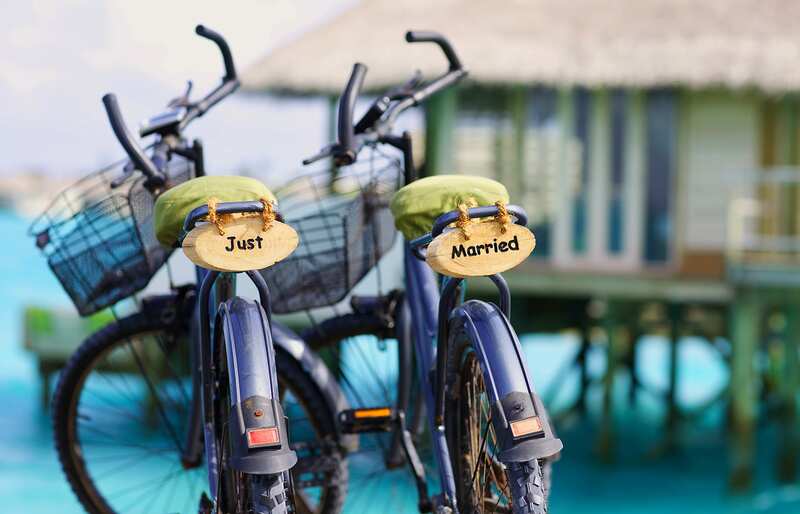 Among them were our personalised wooden tags attached to the bicycles parked in front of the villa—and barefoot-cycling around the island was the best thing, especially in the morning when the air smelled of fresh mist and the light seemed the brightest. 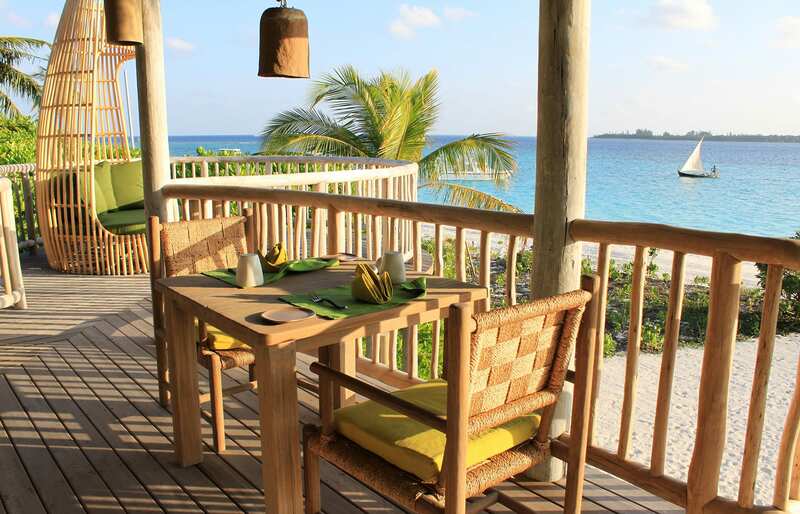 Speaking of the mornings—breakfasts were fantastic, with a bountiful buffet selection at the Longitude restaurant, which is an open air, two storey dining space set over the water. 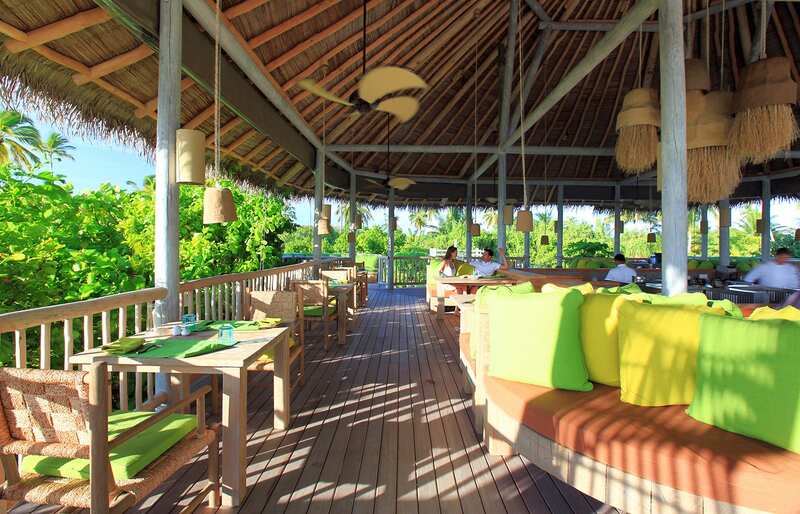 There are three other restaurants on the island, to which fresh vegetables and spices are supplied from the immaculately maintained organic garden, while local fishermen provide sea catch. 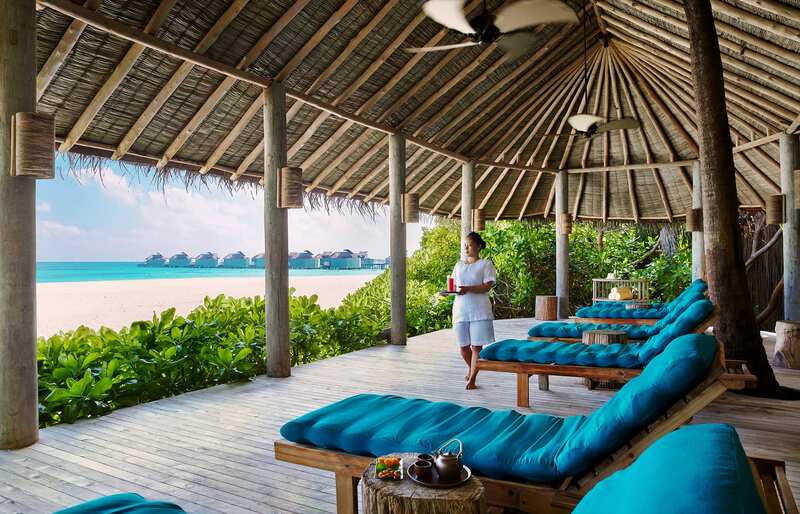 Overlooking the beach and located directly above the garden is The Leaf restaurant, which has a hanging bridge, made of planks of wood and ropes, leading to its entrance—true to the Six Senses style. 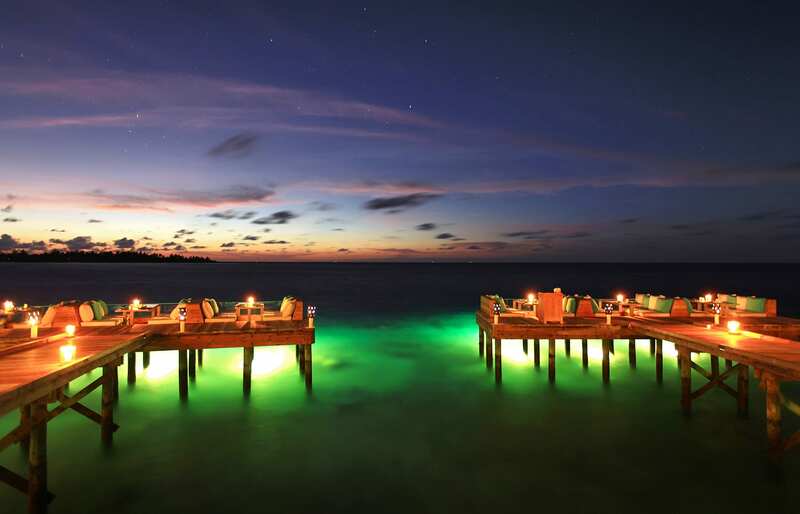 The Leaf is a great place for a romantic dinner. 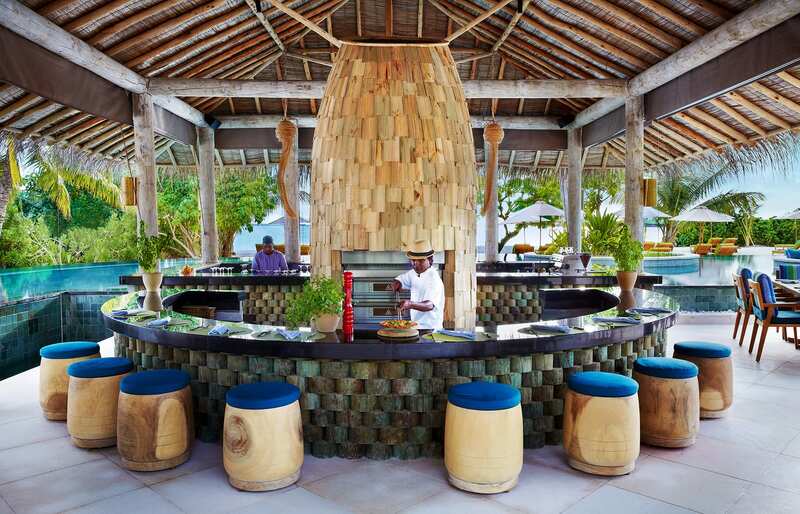 Lunchtime hangouts include Chill and the Sip Sip, adjacent to the swimming pool, with sunken bar and seating, where we would pop in for fantastic homemade pizzas or some drinks. There is also the sweet department, which we could never resist. The Ice & Chocolate parlour serves home-made chocolate and 40+ flavours of ice cream and sorbets. For another kind of pampering, there is the award-winning spa. 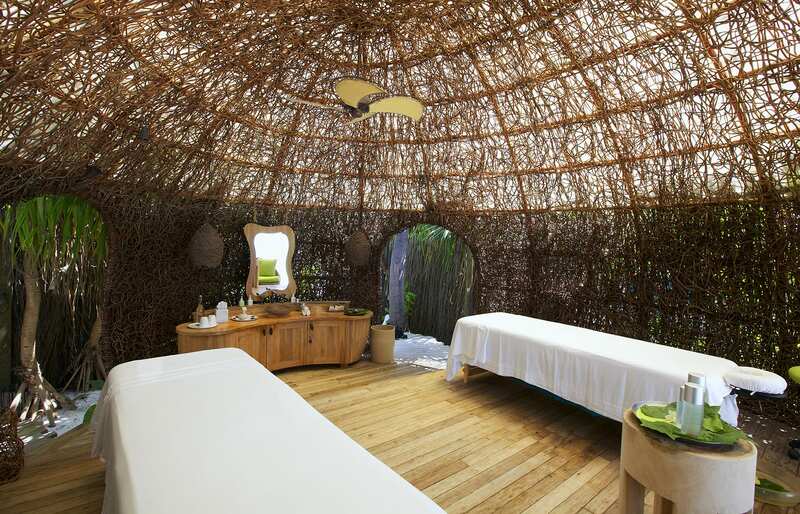 The treatment rooms are housed in stunning spherical wicker nests, merged with the island’s greenery. With classic massages, sauna, yoga and personal training programs, as well as the fully equipped gym, the spa delivers on the promise of the ultimate relaxation experience. 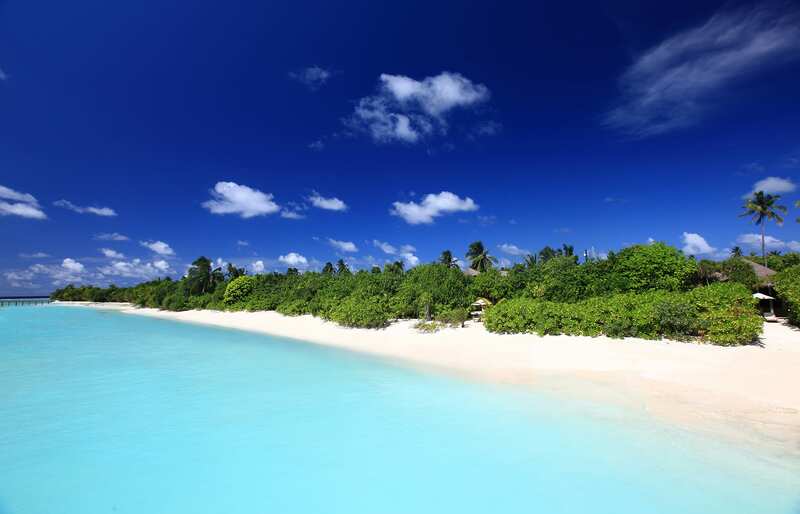 Then, of course, there is the sea, the beach, and the simple beauty of a tropical island. 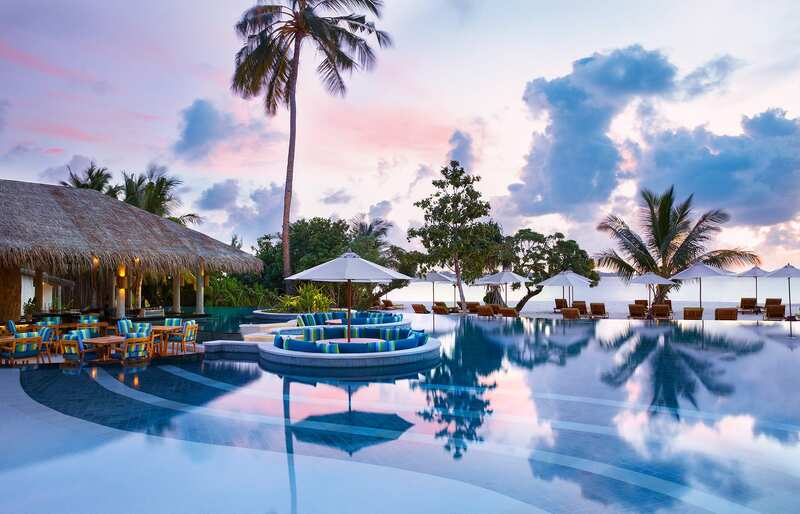 After a day filled with swimming, sunbathing, and all other attractions, just about all we needed to round off another perfect day in the Maldives were sundowners at the Chill Bar, sipped to the sounds of the sea… and some chillout tunes. 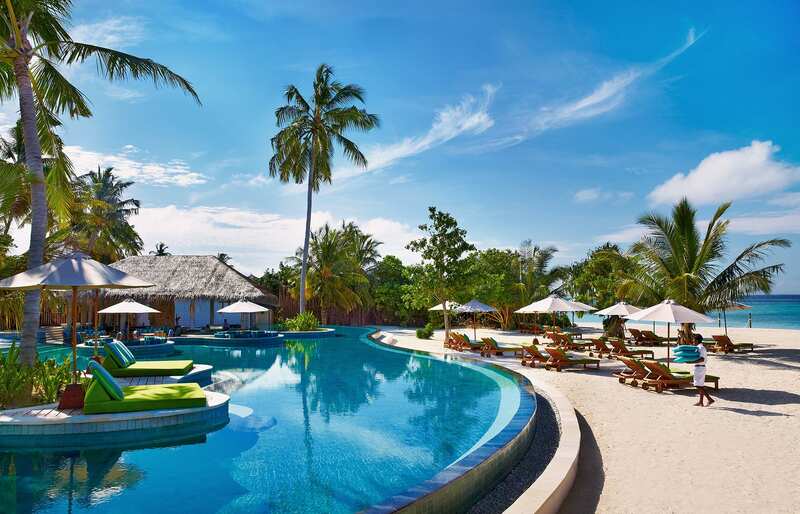 Tucked in a part of Maldives relatively untouched by modern tourism, Laamu has all the ingredients of the perfect holiday—not least of which is the resort's genuine rustic luxury, presented in a pure atmosphere of carefree relaxation. This Six Senses concept is honed here to perfection. 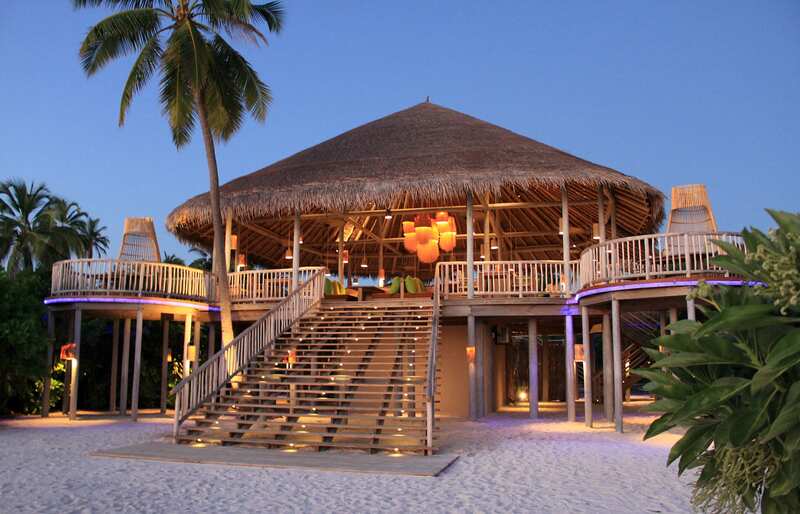 We are awarding Six Senses Laamu the Editor's Pick without hesitation. 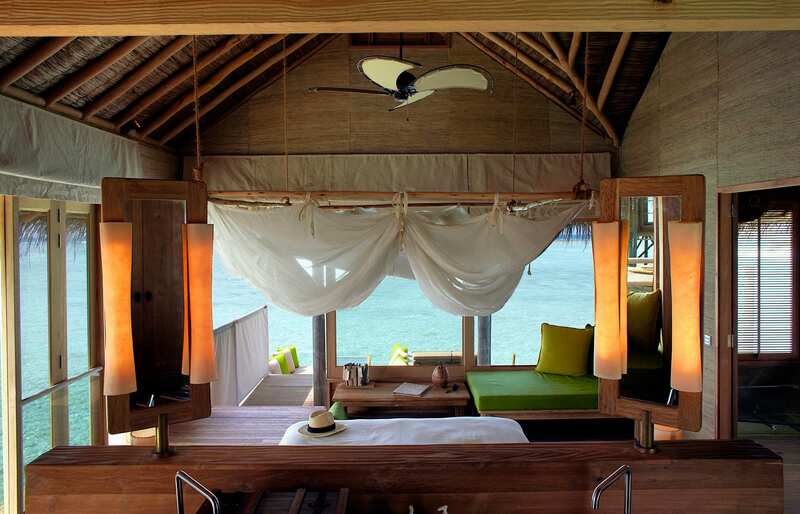 Our absolutely favourite thing about this resort was the wonderful Ocean Water Villa—spacious, with innovative features, and designed in a style perfectly aligned with the experience of a paradise destination. Truly in the Six Senses style, we took off our shoes as soon as we boarded the hotel's boat—and stayed barefoot until our departure. 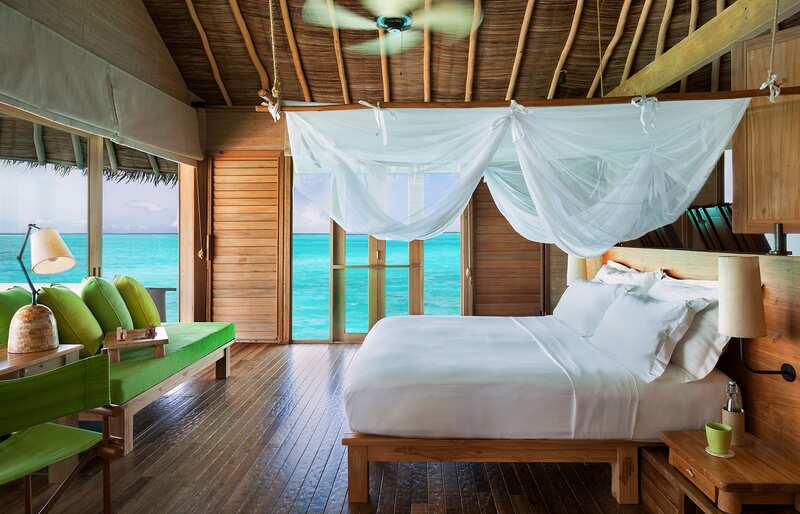 We loved waking up to the calm lagoon seascape, with seemingly photoshopped blue water below us. 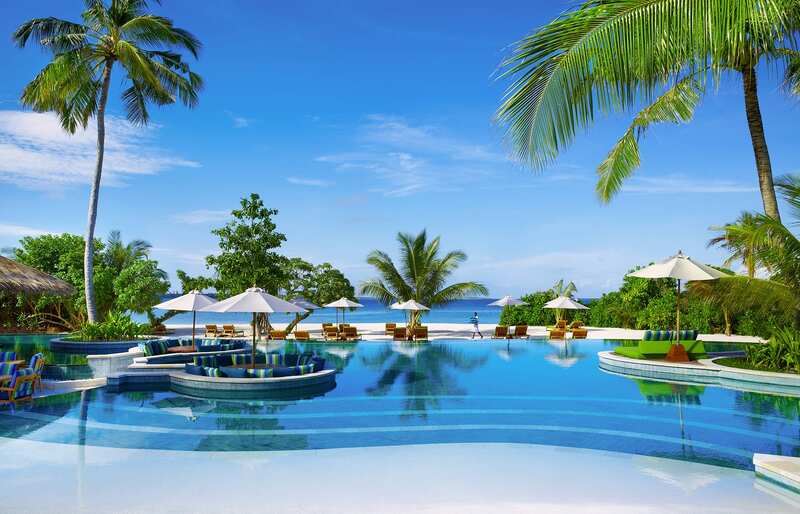 Having a direct access to the crystal-clear sea was great—it felt like having our own endless swimming pool. 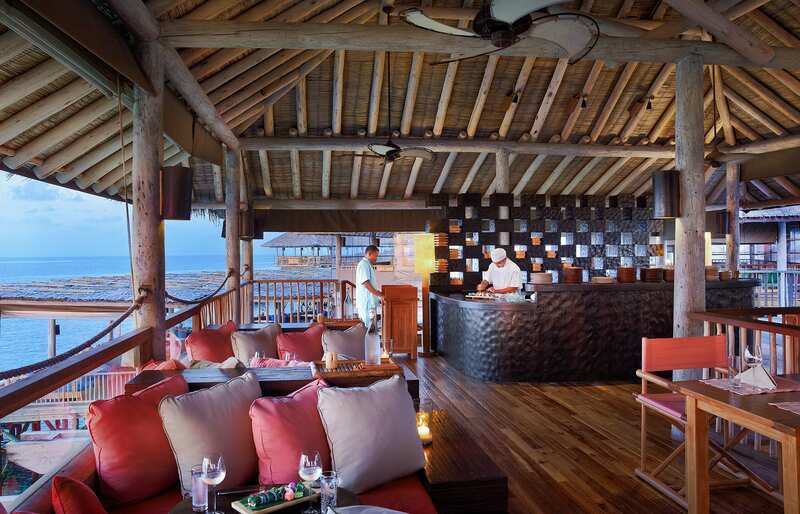 The informal atmosphere and plenty of relaxing spaces around the resort, like the Chill Lounge & Bar, a relaxed multi-level panoramic bar with over-water nets and a world-class cocktail menu. We loved being there at sunset time! 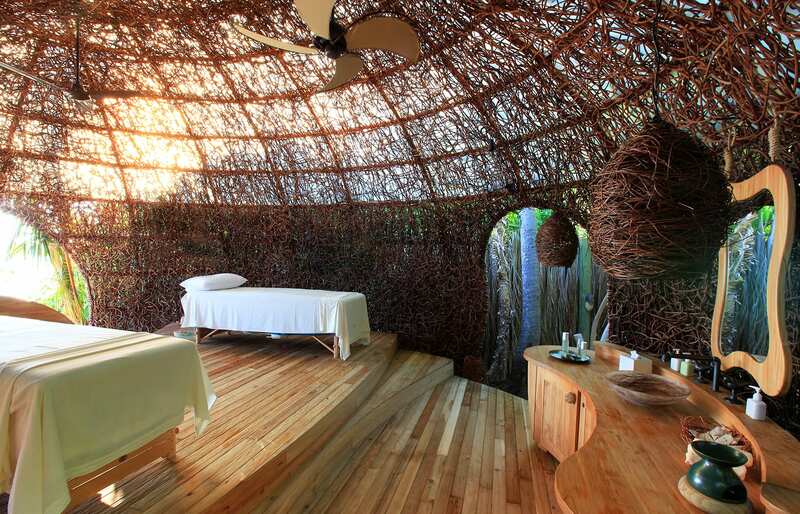 Amazing spa, with treatment rooms created in the form of giant wicker nests, blended with the island's vegetation. We can confirm the massages are heavenly, and the treatment is finished with lovely snacks in the after-treatment relaxing area. 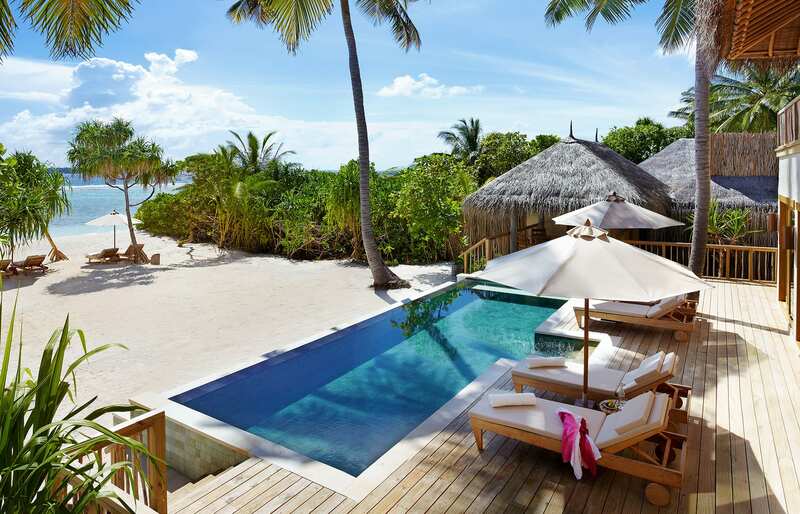 Sip Sip, the new pool area—it’s perfectly laid-out, with a sunken bar and smart round sofas, as well as direct access to the beach. Free ice cream! Popping in for a treat was our daily afternoon ritual—they have the most amazing combinations of flavours. The best discovery was the Strawberry-Pepper sorbet. Barefoot-riding our personalised bicycles around the island! 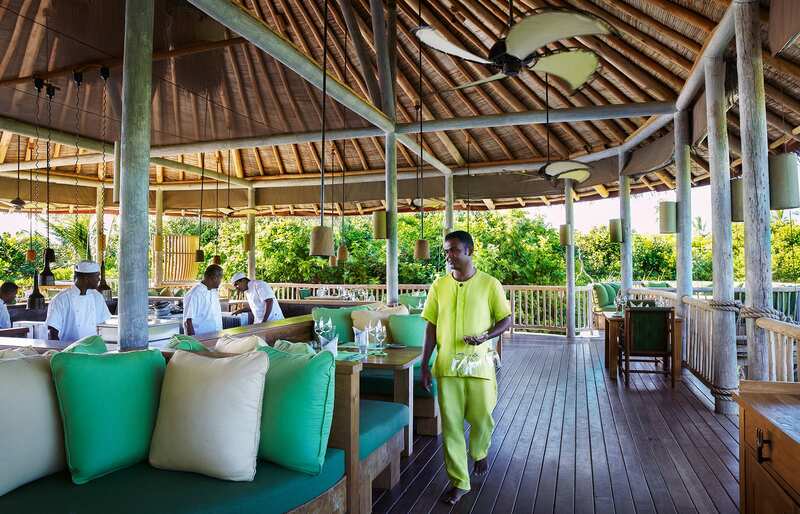 Every time we are at a Six Senses resort we are amazed with the breakfast selection, and it is no different at Laamu. It was hard to get bored with food. 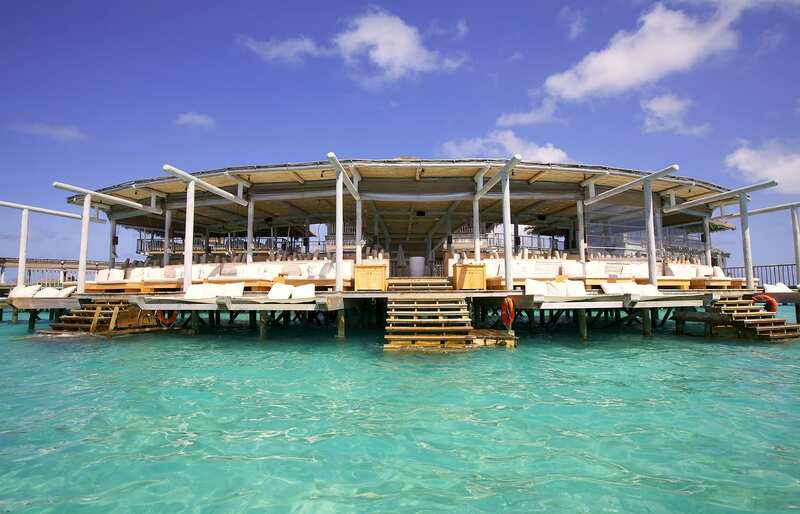 To complete our breakfast we'd crash on the nets in the Chill bar, with glasses of champagne. What a way to start the day! 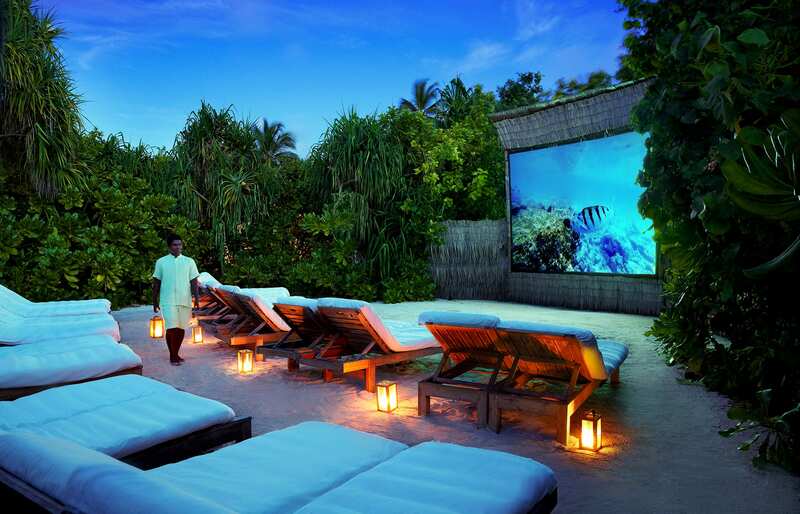 The Scene, an open-air cinema for watching movies outdoors, with drinks and popcorn in hand. 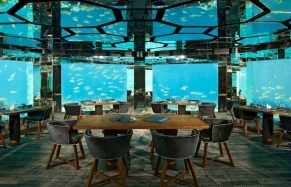 The resort offers access to the Island Aviation Lounge at Malé International Airport, serving some food and drinks, while waiting for the domestic flight. 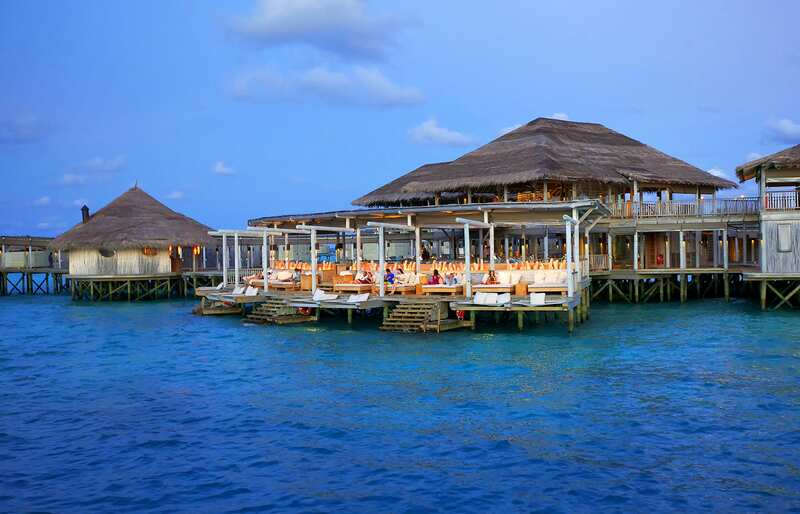 From Male airport it takes a 40-minute flight and a 20-minute speedboat ride to get to the hotel. Bikes are personalised with name tags but only for returning guests (and those who book Laamu Water Villa category and up). 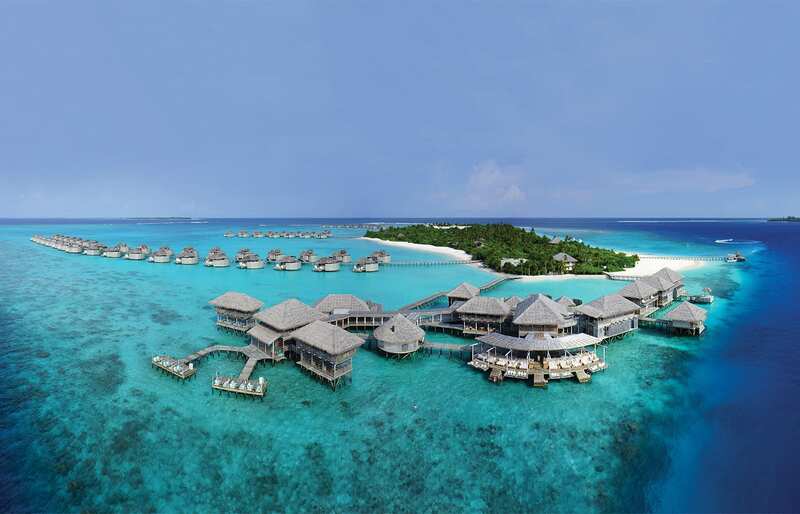 The atoll/island is quite big and the resort is rather spread out, but all villas are provided with bicycles. 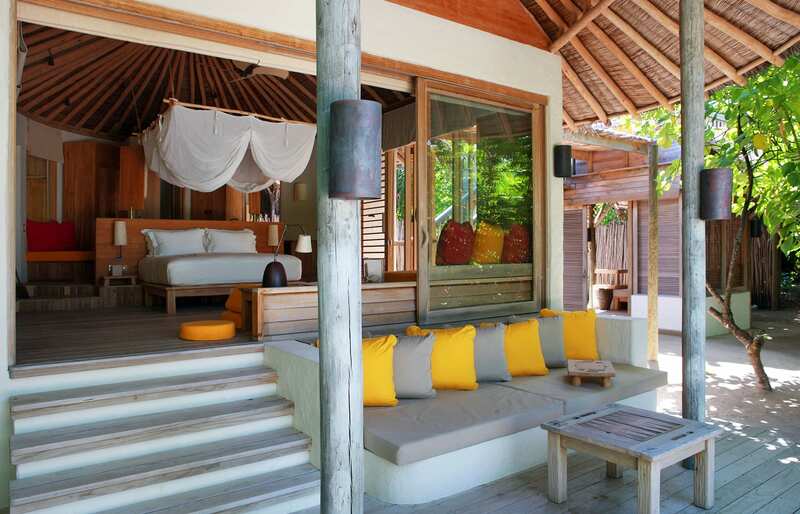 Walking to the lobby and dining areas can take up to 15 minutes for some furhter positioned villas. You can request a buggy however. 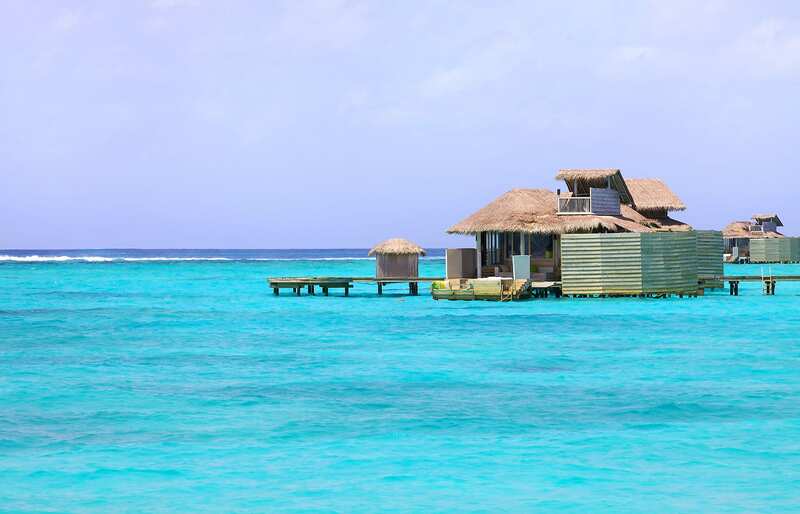 The resort offers private picnics and barbecues on remote patches of sand, Sunset Dolphin Cruises, as well as boat excursions for diving and snorkelling, and the dive school does certification courses. For the surfing guests the unquestionable highlight will be the famous eight-foot wave break, just minutes away. 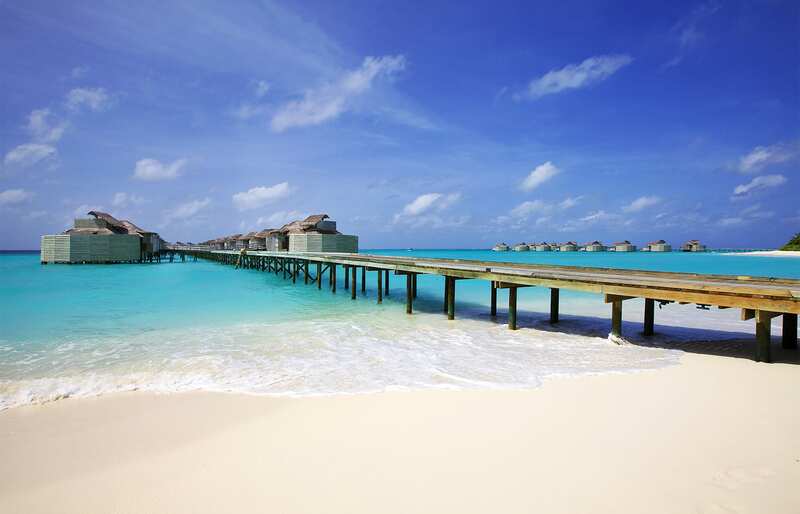 The resort is located on a truly gorgeous lagoon and the island's sand is white and powdery, but the beaches are maybe not as picturesque as some other we’ve been to in Maldives—e.g. there are no tall palms swaying in the wind, and some parts have problems with sea erosion, despite engineering efforts. 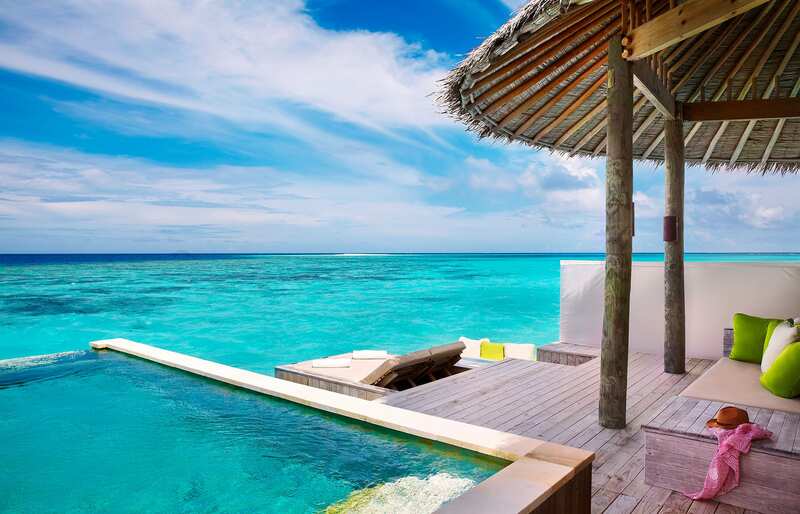 There are three jetties on which the villas are located. 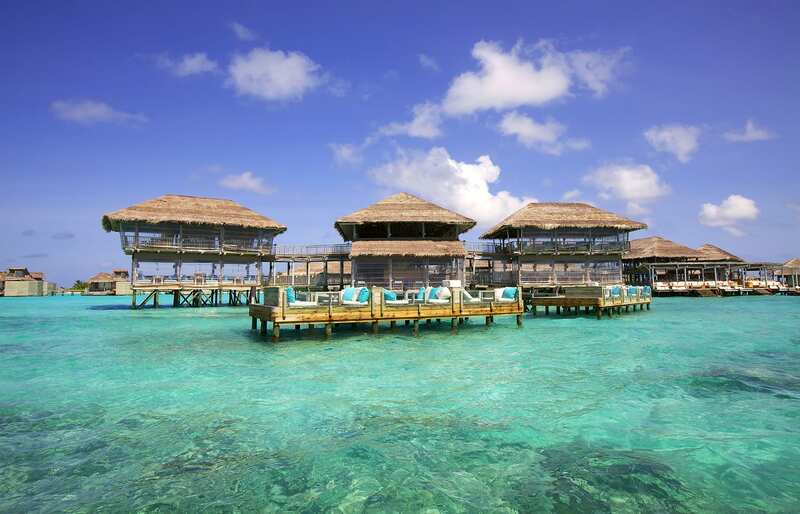 Jetty A is the closest to the restaurants and other facilities and offers the best snorkelling, but some of the villas are less private (ask for one on the far side). 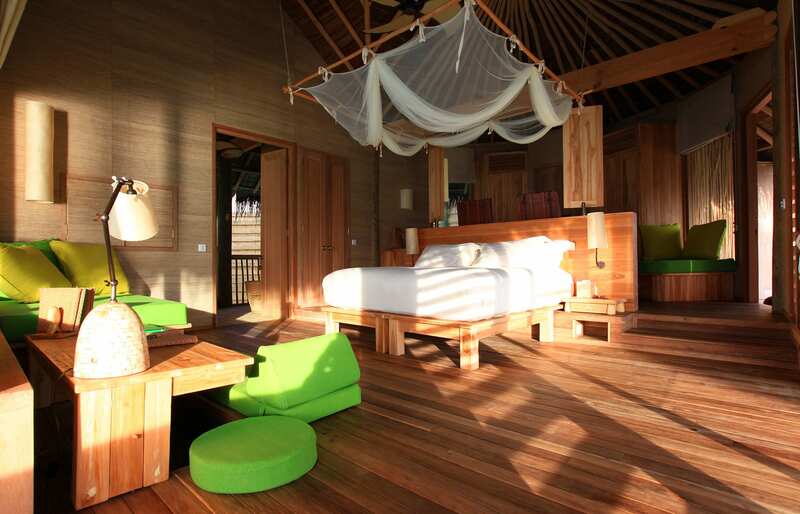 Our favourite Jetty B, with the least number of villas, is the most private and tranquil, and has a clear sea bed. 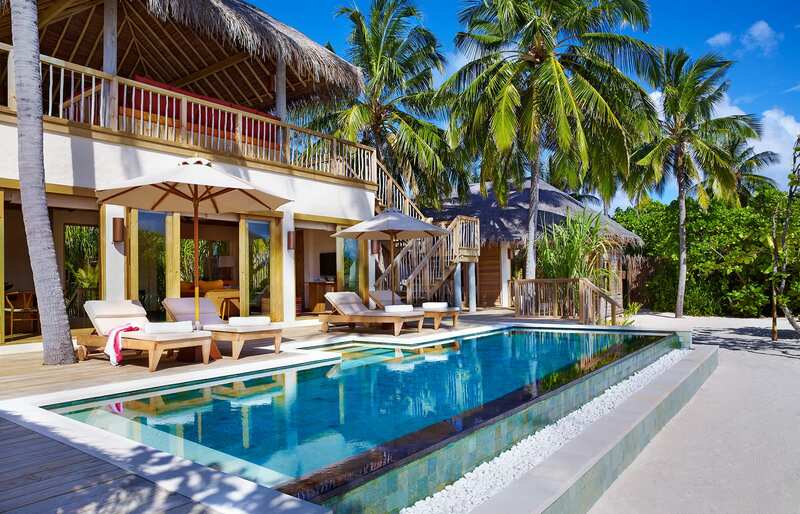 Even more secluded are villas on the Jetty C—they are relatively far from everything as the jetty extends towards the surf break, the quiet hum of which lulls guests to sleep.